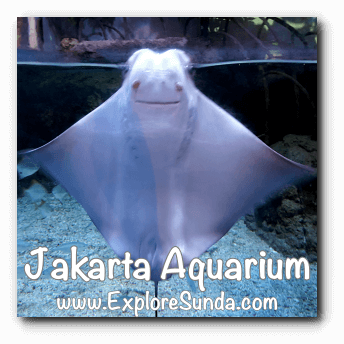 At Jakarta Aquarium, we will meet many sea creatures, even touch some of them, watch a live performance of The Pearl of South Sea, and experience a deep sea research in a submarine! The best part is: it is easily reached at Neo Soho Mall, Jakarta. 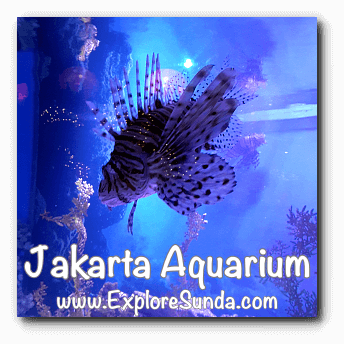 Jakarta aquarium is located in the LG and LGM floor of Neo Soho Mall, West Jakarta. The ticket booth is located at LG, while the parking lot is on top of 4M floor. Regular ticket Rp. 175,000: one time entry in one day, so maximize your visit, once you exit, you can not enter again. Premium ticket Rp. 225,000 : unlimited multiple entry for four hours. 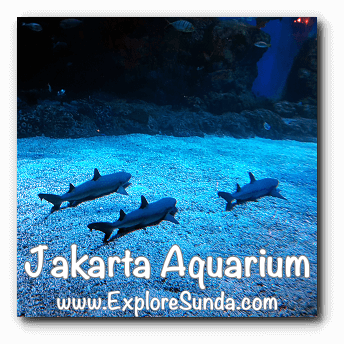 When the 4 hours almost up, you may stay inside Jakarta Aquarium until it is closed provided you do not exit. In addition, the ticket includes a 5D theatre experience. 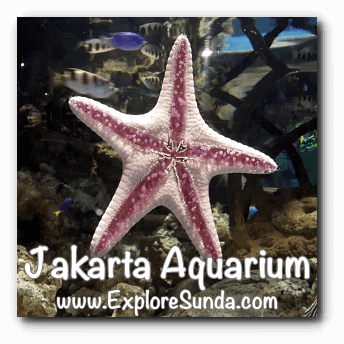 From a common looking sea aquariums with lots of beautiful anemone and coral reefs, where Nemo the clown fish and Dory swim happily, we are guided to the more rare and exotic sea creatures. 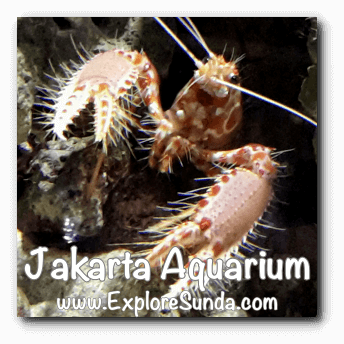 However, not all of the collection in Jakarta Aquarium are sea creatures. Twenty percent are animals live in the beach, mud, and mangrove, such as crab, porcupine, lizard, salamander, turtle and snakes. Even from the remaining 80%, a small portion are fresh water fish, such as Piranha. 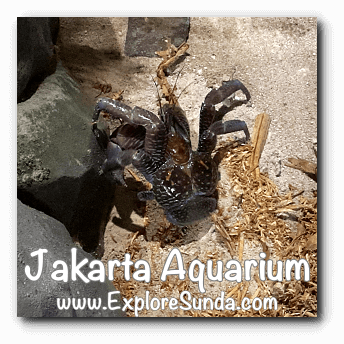 One of exotic collection here is the coconut crab, one of the most exquisite menu in luxurious seafood restaurants. Thus, they become an endangered species. Although they are only separated with short glass wall, please make sure you don't touch them, since they have a very strong claw that can cut your finger easily! Then there is an Otter Tunnel under the otter habitat. 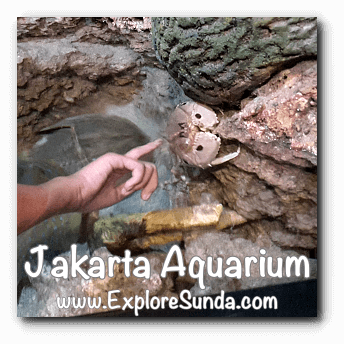 Children can crawl inside, stand in the center of the tunnel and look inside the habitat from an observation window then crawl again to exit at the other side. Once we thought we touched a stingray, but it turned out to be a crab! 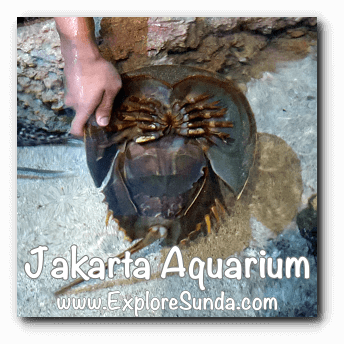 It is called Horseshoe crab in English or called Mimi for the male and mintuna for the female in bahasa Indonesia. One reminder though: we must wash our hands before and after we play in the Touch Pool. The feeding time in the Touch Pool is 13.30-13.45. The main tank, i.e. 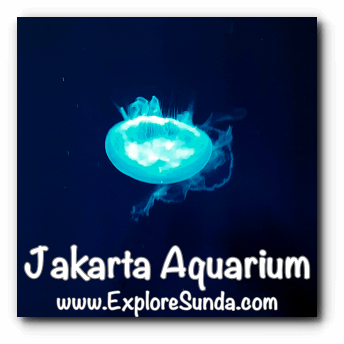 the largest aquarium, is located one floor below. 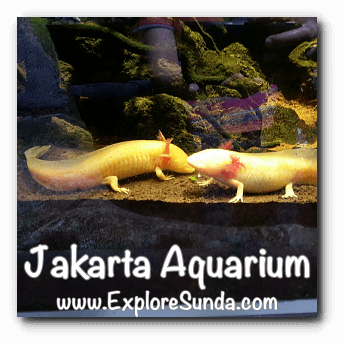 However, there is a glass floor on top of the main tank, where we can see the fish swim under us! The main tank contains various fish, mostly the big ones. For example, sharks, sting rays and grouper. 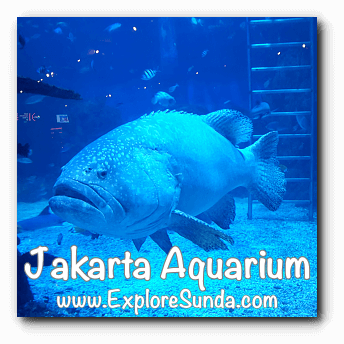 One grouper weighs 250 kilograms, while the other one weighs 200 kilograms and the nurse shark's size is 3 meters long! For a licensed diver, you may try diving with sharks. 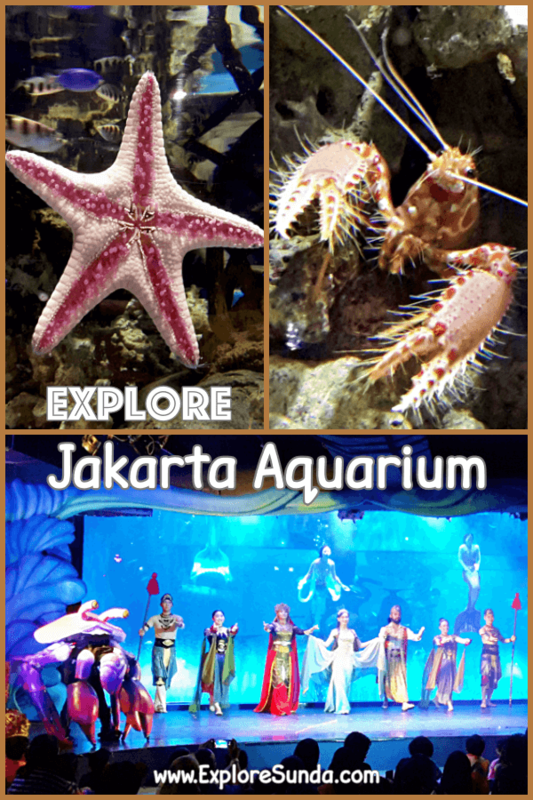 Don't forget to bring your diving suit and shoes and reserve in advance. Alternatively, you still can be with the sharks wearing seatrek helmet. Each of these activities takes 20 minutes. 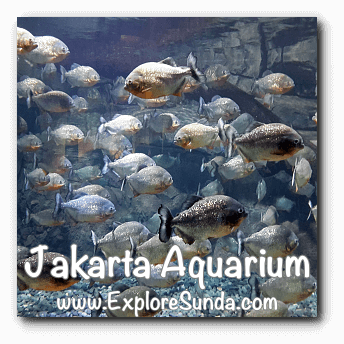 As you can imagine, most of the visitors prefer to observe the fish from the other side of the glass wall. 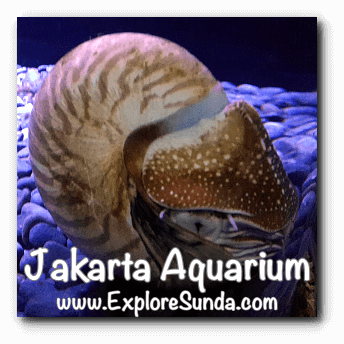 One fun attraction in the main tank is when the aquarist (the staff who takes care of the sea creatures) dives into the main tank and feed the fish. 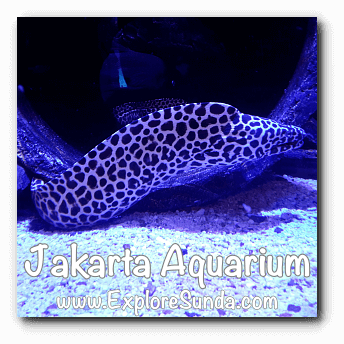 The feeding time in the main tank are: 11.45-12.00 and 16.15-16.30. 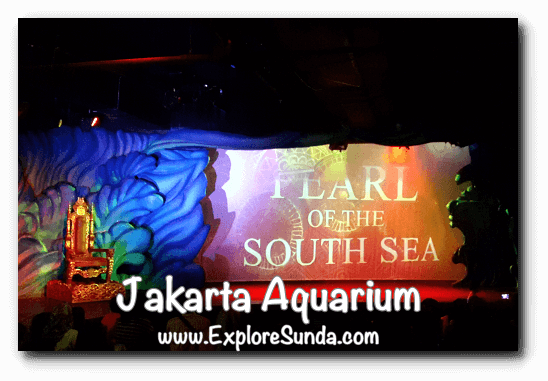 The main tank is also used as a stage for the live performance of the Pearl of the South Sea. It is a story of a beautiful princess who is cursed by her wicked step mother. Once beautiful, she becomes ugly, hence, she finds solace by living in the sea and turning into a beautiful mermaid. She then helps her father to defeat the wicked queen who wants to overrule the kingdom. It is a simple story, but it is amazing how the swimmer acts like a mermaid and swim without oxygen. 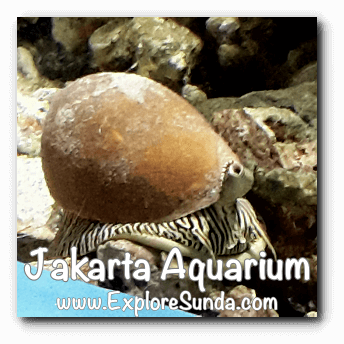 While you are at the main tank, check out your photos during your visit here. The price is expensive, but we also get the soft copy of the photos. 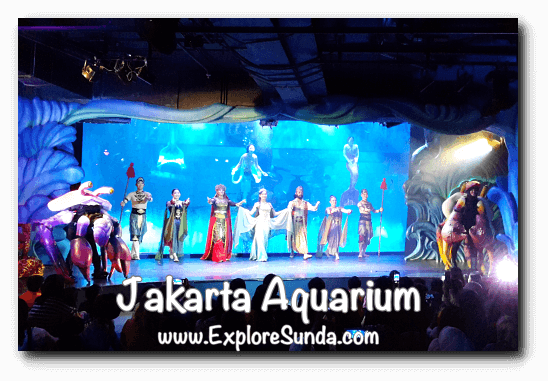 Another fun experience in Jakarta Aquarium that you'd better not skip is the 5D theater. The theater starts with an introduction, giving information to us, who join a research submarine. The floor is moving, duplicating the motion of an elevator. Then, we enter another small room surrounded by screens, representing the inside of the submarine with its windows. Sometimes the floor is moving suddenly, hence, you'd better hold on to the railing :) It is a fun adventure, where we meet a lot of sea creatures, either cute or dangerous. The exit of the 5D theater goes right into the souvenir shop called Ocean Wonders. However, for the premium ticket holder, you just need to step out of the shop and use the escalator to go back to the entrance gate. Otherwise, you might enjoy shopping here. As the theme continues, most of the merchandises here are related to the sea creatures, such as Nemo the clown fish and penguins. Speaking of penguins, Pingoo restaurant is right next to this souvenir shop. Pingoo is an expensive restaurant, with a minimum purchase. The perk is the big habitat of Humboldt penguin on one side of this restaurant. 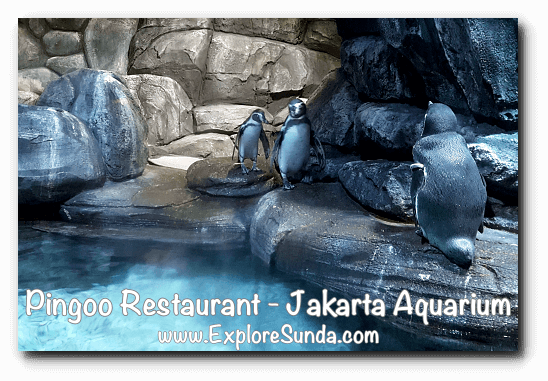 Hence, we can observe the penguins while we dine. As the restaurant guests, we are also allowed to feed the penguin. We enter the habitat and each of us give one small fish to the penguin. The staff will take pictures on us. We can buy the picture for Rp. 150,000. Alternatively, we can take pictures from the other side of the glass wall, although it is not the best angle. 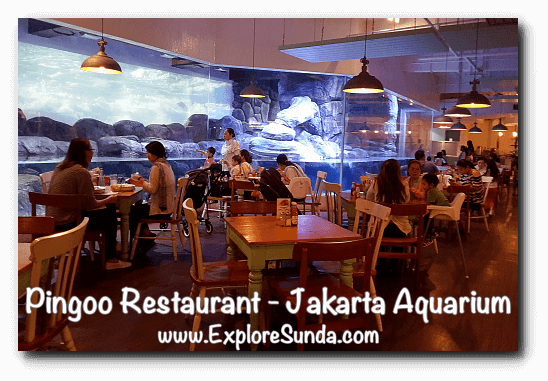 Should you want to dine in Pingoo, we, at the ExploreSunda.com recommend you to come early for early lunch, thus, you can get tables right in front of the penguin habitat as well as feed the hungry penguin. When there are too many visitors feeding them, the penguins will not be enthusiastic anymore. Alternatively, dine here at the odd hours when the restaurant is not full. Pingoo Restaurant opens from 10am-10pm.